Maintaining a healthy level of working capital can sometimes be difficult, and you may need to borrow some money to keep your head above water and pay for any unexpected bills or to help you grow your business. There are a variety of financial products available to businesses, but a business loan is often the most flexible and simple products to use. Below we have looked at what some of the leading lenders could offer you. The table below gives a quick price comparison of the top UK providers for working capital loans. Some of the features and benefits of iwoca’s working capital loan. iwoca is an independent financial provider who specialises in offering services to small businesses They claim to have a streamlined application process and broader lending criteria. Their business loans can be used for a variety of reasons including increasing your working capital and cash flow to support your business growth. iwoca’s business loans are available to small businesses for £1,000 up to £200,000 but are normally limited to your monthly revenue except for start-ups who can only borrow up to £10,000. The loan is very flexible as it offers the ability to repay the loan at any point or top up the loan up if needed during the term. Some of the features and benefits of Funding Circle’s working capital loan. Funding Circle is a lender who brings together investors and borrowers to offer loans to small businesses. They claim to offer fast and affordable finance that can be used for a wide variety of reasons including increasing your working capital to enable you to grow, develop and make purchases. Funding Circle’s business loans are an unsecured loan offering from £10,000 up to £500,000 on terms from 6 months up to 5 years, which can help you to manage your cash flow better with manageable fixed monthly payments. They have a quick application and decision process which can be done in as little as 5 hours in some cases. Some of the features and benefits of NatWest’s working capital loan. NatWest is a financial banking provider offering a wide range of financial products to businesses which includes several loan products. They offer a fast and simple small business loan between £10,000 and £50,000 as well as loans for larger amounts on fixed or variable interest rates. NatWest’s small business loan is designed to help businesses increase their working capital. Loans are available over 1 to 10 years on fixed interest rates which gives predictable monthly repayments. Loans have no arrangement fees and they will not impose any early repayment fees. Loans are available to existing and new customers, but existing customers may be offered a personalised rate. Some of the features and benefits of RBS’s working capital loan. RBS is an established banking provider offering a range of business finance products including business loans. They offer several business loans that are fixed and variable rate loans for varying amounts and reasons. Their small business loan is available to help you increase your working capital. RBS’ small business loan is available to new and existing customers and is a simple, fast and flexible product that can be tailored to meet your needs. It offers loans from £1,000 to £50,000 over a period from 1 to 10 years on fixed interest rates. The loan offers no arrangement fees and no early repayment fees. Some of the features and benefits of HSBC’s working capital loan. HSBC is an international banking provider offering businesses a range of banking and financial products including business loans. They offer two business loans which are the small business loan and a flexible business loan which can be fixed or variable rate. The small business loan is available to increase working capital. HSBC’s small business loan offers fixed monthly repayments on loans from £1,000 to £25,000 on loans over 1 to 10 years. The loan is available to new and existing customers online, over the phone or in branch. The loan offers no charges for making additional payments and has the option to defer your first three months of repayments. Some of the features and benefits of Barclays’ working capital loan. Barclays is an established banking provider offering a wide range of business products which includes business loans. They offer loans that are designed to help businesses with their working capital that are secured or unsecured loans for above or below £25,000. Barclays’ smaller business loans are unsecured loans for £1,000 to £25,000 for periods from 1 to 10 years on a fixed rate and you could have a 6-month repayment holiday. Their larger loans are secured loans for £25,000 to £100,000 for terms from 1 to 20 years on a choice of fixed or variable interest rates and you may be eligible to benefit from interest-only repayments. Some of the features and benefits of Lloyds Bank’s working capital loan. Lloyds Bank is a UK banking provider that offers a range of business banking and lending products. They offer three business loans catering for different needs to existing and new customers. They offer instant decisions online for loans under £10,000 and no arrangement fees on loans under £25,000. 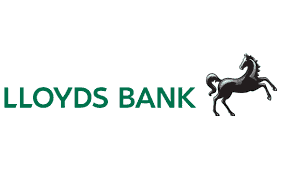 Lloyds Bank’s Base Rate Loan is a variable rate loan for £1,000 to £50,000 over 1 to 10 years. The Fixed Rate Loan offers the same deal but on fixed rates. The Commercial Fixed Rate Loan offers loans of £50,001 to £500,000 over 1 to 25 years on a fixed interest rate. Some of the features and benefits of TSB’s working capital loan. TSB is a UK banking provider that offers a range of business banking and lending products including business loans. They offer two loans called the Base Rate Loan and Fixed Rate Loan. The Base Rate Loan offers loans from £25,001 on terms from 1 to 25 years on variable interest rates. This loan may require security. TSB’s Fixed Rate Loan offers loans from £1,000 to £1 million for periods from 1 to 10 years on fixed interest rates on a secured or unsecured basis. Arrangement fees apply on both loans and they both offer capital repayment holidays to eligible businesses. Some of the features and benefits of Santander’s working capital loan. Santander is an international banking provider who offers a range of financial products to business in the UK. Their business loans are flexible and can be tailored to meet your business needs. Loans are available for a variety of reasons including exploring new markets, R&D, new products or strategies. Santander’s business loans offer a choice of fixed and variable interest rates on loans from £25,001 and they will consider loans of all amounts. Their business loans are available to established SMEs, owner-managed companies, larger groups and they will consider new businesses. They provide businesses with a Relationship Director to support them. Some of the features and benefits of Bank of Scotland’s working capital loan. Bank of Scotland is a UK based banking provider offering a wide range of business banking services including business loans. They offer three business loans, one variable and two fixed-rate loans. The Base Rate Loan is for loans over £1,000 for periods of 1 to 25 years on a secured and unsecured basis. Bank of Scotland’s two fixed rate loans are available for loans of £1,000-£50,000 for periods of 1 to 10 years, and for over £50,001 for periods of 1 year to 25 years. All of their loans offer no arrangement fees if the loan is under £25,000. They do not charge early repayment costs on their loans. Some of the features and benefits of Clydesdale Bank’s working capital loan. 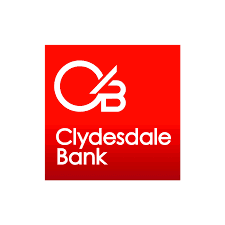 Clydesdale Bank is a Scottish banking provider that offers a variety of banking and lending services including business loans. They offer two business loans called Flexible Business Loan and Business Loan that are available to help you grow or sustain your business. The Business Loan offers loans from £25,001 to £10 million on fixed, variable or mixed interest rates. The Flexible Business Loan is available for loans over £25,000 on a variable interest rate. This is a flexible loan as it offers the ability to make overpayments and redraw the overpayments if needed and they offer the first two redraws free of charge. Some of the features and benefits of Spotcap’s working capital loan. Spotcap is an international provider of business financing who offers a business loan to UK businesses that have been trading for over three years and have an annual turnover above £500,000. 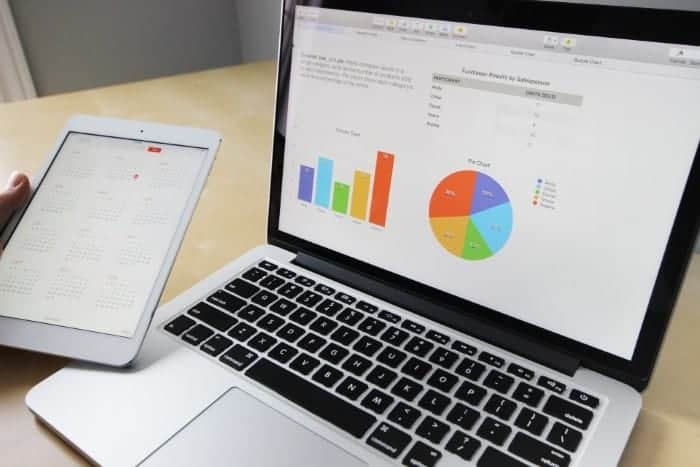 They use an online application which is a simple form to determine the financial health of your business and will give you a decision in one working day. Spotcap’s business loan is available for amounts from £50,000 to £250,000 on repayment terms from 1 to 24 months. They offer transparent pricing with a single arrangement fee when you draw down funding and no other fees are charged including early repayment fees. Some of the features and benefits of Fleximize’s working capital loan. Fleximize is an independent UK business lender who offers businesses loans for £5,000 to £500,000 for periods from 1 to 48 months on either a secured or unsecured basis. They claim that they have transparent pricing with no hidden charges and they do not charge early repayment fees. Fleximize’s business loans have an online application form and a decision will be made by your dedicated relationship manager within 24-48 hours and funds can be received on the same day as the decision is made. They have flexible repayment terms and can offer you top-ups and repayment holidays. Some of the features and benefits of LendingCrowd’s working capital loan. LendingCrowd is an online peer-to-peer lending service that brings together borrowers and lenders. The service is available to small to medium-sized businesses wanting to borrow funding from £5,000 to £500,000 on terms of 6 months to 5 years. LendingCrowd’s business loans have an online application which is assessed by their Credit Team normally within 24 hours and then it is open for investors to place bids to fill your loan. Once you accept the loan funding can be received on the same working day. They claim to offer transparent pricing and provide a loan calculator to help you work out the cost before applying. Financial Disclosure: We may be paid a fee if you visit Know Your Money via the link above or use Funding Options or iwoca to take out a loan.